In recognition of the need to have a set of guidelines to govern mediation at the LCA, these guidelines were passed on the 15th of March, 2011 by the LCA Board of Directors. These Guidelines assist in the effective resolution of disputes by mediation and ensures there will be a proper and expeditious conduct of mediation proceedings. 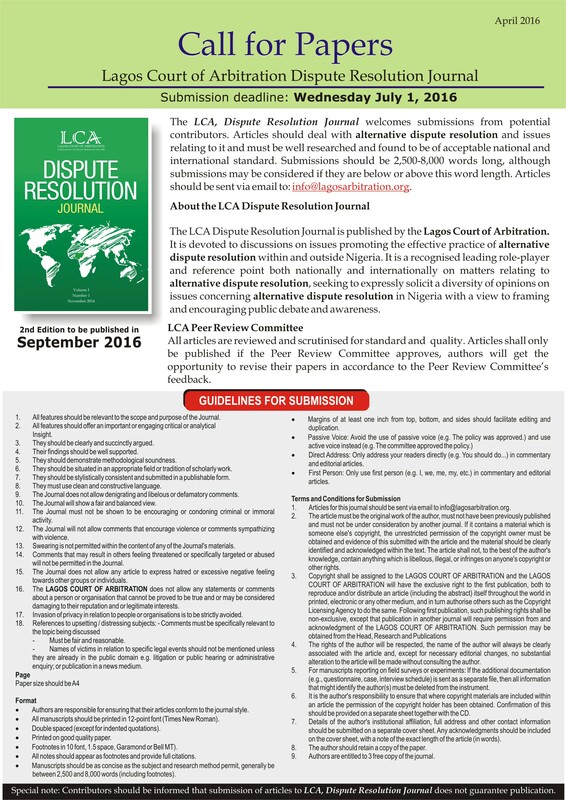 The Mediation Guidelines are available for use by parties, whether or not members of the LCA. They are available for download on the LCA website.